The above quote reminds me a lot of what I thought of the book. I didn’t like it as much as the earlier books and I thought it left a lot to be desired. I give A Map of Days by Ransom Riggs three out of five hearts because it didn’t grab me and I thought it left a lot to be desired. The overall story wasn’t great and the characters have barely any development in this new world. Jacob has taken Emma and the other peculiar children to the USA. And here they have their new adventure when Jacob finds evidence of his grandfather’s double-life. But I didn’t care that much. The reader has no bond with Abe and I found it hard to connect to the events caused by this revelation. America is such a distance away from Europe means that the Peculiar World is very different there, which is noticeable, but it is not very well explained why this is, just that it is this way. It didn’t feel like a satisfying explanation. Overall not a very satisfactory novel or follow up to a great series. Why oh why did Ransom decide to write more stories in this great series and not chosen to write something completely different. 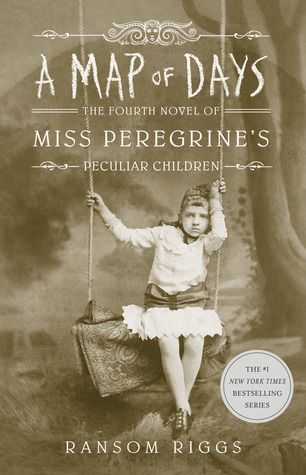 This entry was posted in Book Review and tagged Adventure, Book Review, Fantasy, Mystery, Ransom Riggs, Romance, Thriller. Bookmark the permalink.